Very Good. No Jacket. 288 pages, some foxing, spine faded, previous owner name on front endpaper. Very Good. Book A little wear, light creasing, binding sound; very good overall. Fine. New and unread however slight crease at corner. A fantastic pocket sized book. Wonderful tale of love and hate mixed with the coldness of the moor. I was really hesitant to read this book because I read Jane Eyre in sophomore year and hated it, and I expected this to be very similar. Emily's writing style included a lot less superfluous details than Charlotte's did, and the gothic elements actually did frighten me. The language was comparatively easier to understand, and I haven't been able to put the book down since I started. It does begin kinda slow, but [[SPOILER ALERT idk should I even have a spoiler alert? anyway]] once Lockwood had his nightmares about Catherine, everything began picking up. A must-have novel for every shelf! I'll admit that I almost missed out on discovering what a great book this was when it was assigned for an English class, because I couldn't get in to the story. However, as my teacher went over what had happened in the chapters I was supposed to have read, curiosity took hold of me and I began to read it on my own. I was quickly enamored, and Wuthering Heights is now one of my favorite books of all time! I definitely recommend this book to everyone, but I also recommend that weaker readers go through the book with a stronger reader (or a guide) and map out characters, lineage, etc. the first time - otherwise you may miss out on all the lovely subtleties and other elements that make this one of the greatest stories ever! Once you understand who is who and what is what, the book becomes much easier to understand, and you can better appreciate the story each time you read it again! absolute tragic tale of two star crossed loversI have read this book countless times and I never tire of this story. 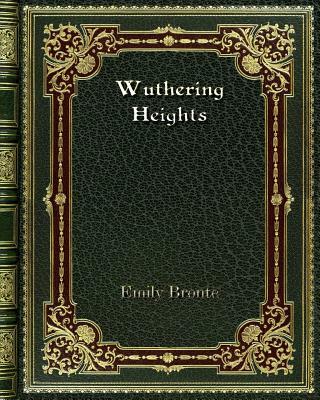 what I find amazing is that the author emily bronte, wuthering heights was her only novel that she wrote . I cannot believe the hype that goes along with this so-called "classic" and one on so many must-read lists. Cruel, depressing story about anything but real love. Obsession at it's worst. They don't just write drivel now, this book is proof that started long ago.